Does Fertility Affect Divorce Rates? 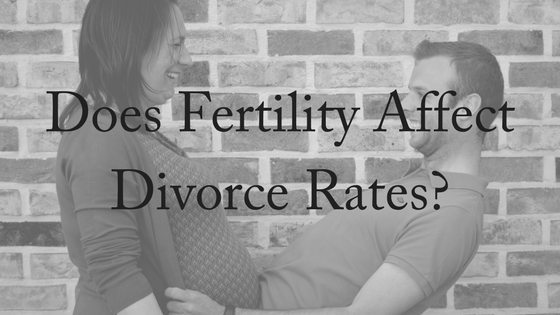 Does fertility affect divorce rates? Are divorce rates higher for those couples who struggle with infertility? New research has shown that infertility and undergoing fertility treatment can put a strain on marriages and relationships, but the evidence shows that infertility doesn’t affect rates of divorce. 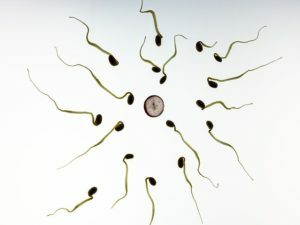 This flies in the face of conventional thought that fertility – or lack thereof – does affect the likelihood of divorce. Danish researchers have recently published the results of research that studied approximately 47,000 women around the age of 35. They found that after 12 years of fertility treatment with no success, 27% of women no longer were together with their partner. With 19 years of treatment and no success, it was three times more likely that they would no longer be with their partner. The women studied all sought medical help for infertility between 1990 and 2006. Seven years later, 43 per cent remained childless and they were three times more likely to have separated from their partners than those who had children. 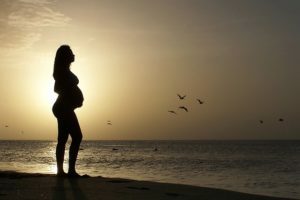 ‘This research is important because although earlier research has shown that fertility problems and its treatments are major stressors…especially if the treatments are unsuccessful, we did not know how many of these couples actually decide to split up if they did not get a child,’ lead researcher Trille Kristina Kjaer said. There can also be significant financial stresses involved which can put a strain on relationships. However, analysts of the data have stated that the research was based on registry data and it is therefore hard to draw conclusions. In other words, it’s possible that the couples would have experienced a relationship breakdown anyway, regardless of their fertility status. Fertility clinics do have the option to intervene during treatment to suggest options to couples they may believe are experiencing marriage problems. There is little doubt that fertility treatment can also cause emotional upheaval as the treatment is often invasive, time-consuming and painful. Recommendations can be made by clinics to include information on marriage counselling to allow families to stay together. Do Fertility Problems Cause Marriage Breakdown? Many couples who experience fertility problems don’t necessarily go on to experience divorce, but the strain of treatment on relationships should be acknowledged. If you are undergoing fertility treatment and can feel a detrimental strain on your relationship or you are avoiding fertility treatment due to stress, relationship counselling may be your best option. Or you may choose to end your relationship. Before you begin your treatment it is best that you both understand and accept the possible outcomes. Experts also suggest undergoing therapy throughout the process as it can be emotionally draining on you both. Nobody usually enters marriage with the intent to divorce. and you may be struggling with infertility and the stress it brings. Divorce may be an option you are considering. An anonymous blogger describes how her struggles with infertility did in fact lead to divorce, and shares how many others experience similar struggles. Her story begins when she first got married, and she and her friends discussed the chances of starting a family. She and er husband began to try with her husband, however, as her other friends were falling pregnant, she didn’t. She began researching her options: fertility treatments, tracking her cycle and scheduling intimacy. She began to feel embarrassed that she couldn’t fall pregnant and began to avoid close family and friends. Not surprisingly, she began to experience emotions of anger and sadness, all because of her experiences with infertility. Hopeful of success with medical intervention, she and her husband started IVF, and after the first round, she fell pregnant. Sadly, this pregnancy ended in miscarriage. She and her husband both dealt with infertility and miscarriage in very different ways. She felt drained, and she soon quit fertility treatments, but describes that by this stage the damage to their relationship had been done. While after her divorce she fell pregnant, she still looks back and recognises the pain she experienced due to infertility. Unfortunately, so many people become engrossed in the process that they forget life around them. Falling pregnant and having a child is their mutual goal, and this begins to eat into their relationship. While fertility may not lead directly to divorce; rather it’s the couples coping mechanisms that lead to conflict and grief, you can get help if you and your relationship are struggling. Brennan Peterson is a professor of psychology at the Crean School of Health and Life Sciences at Chapman University in Orange, California. If you need help ending a relationship, our expert and compassionate family lawyers can help you. For your free, 10-minute phone consultation, please contact us today.